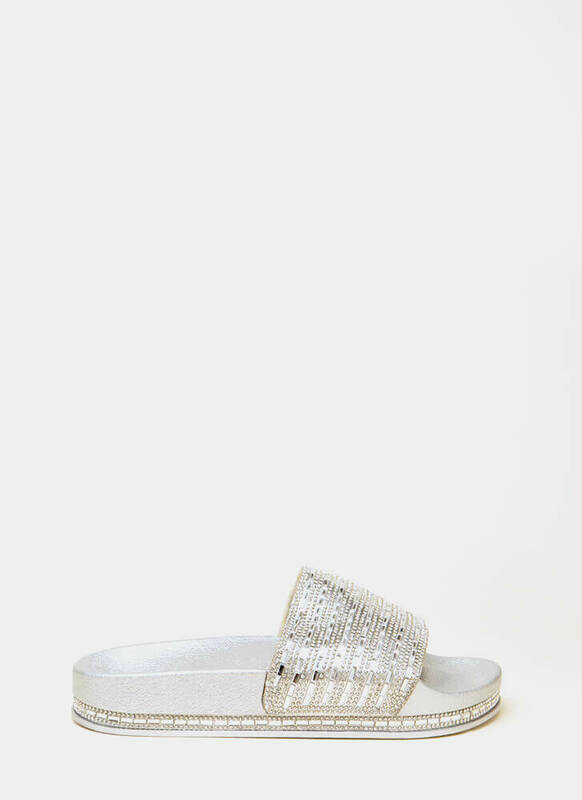 Only a jewelry shop could match the bling on these sparkly sandals. 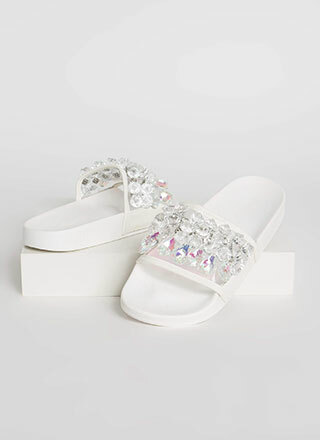 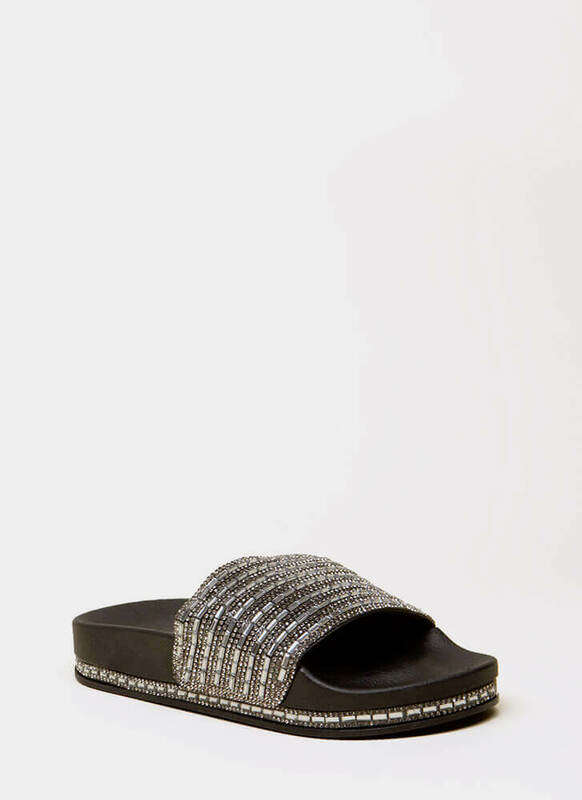 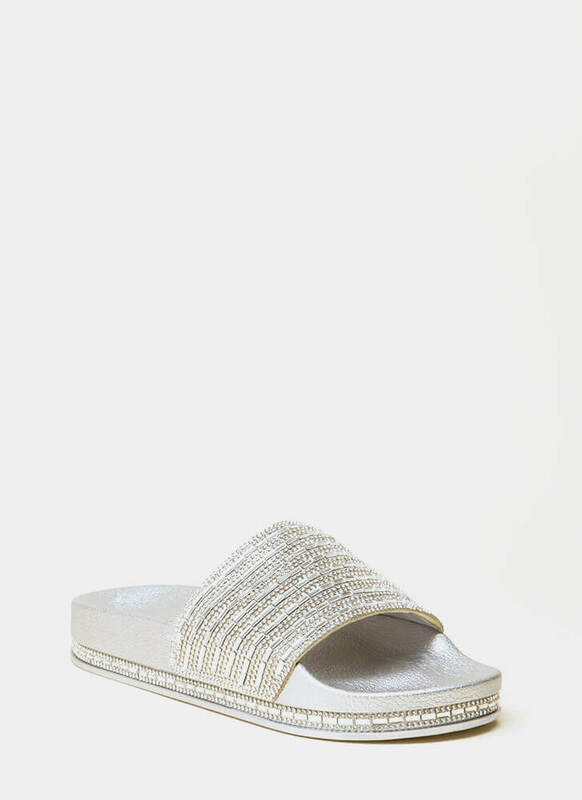 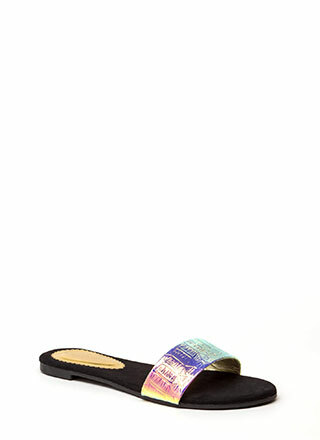 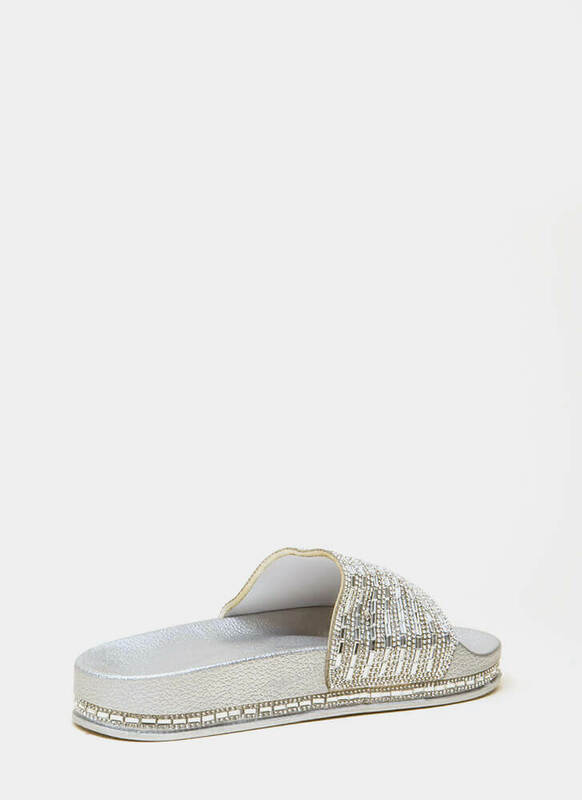 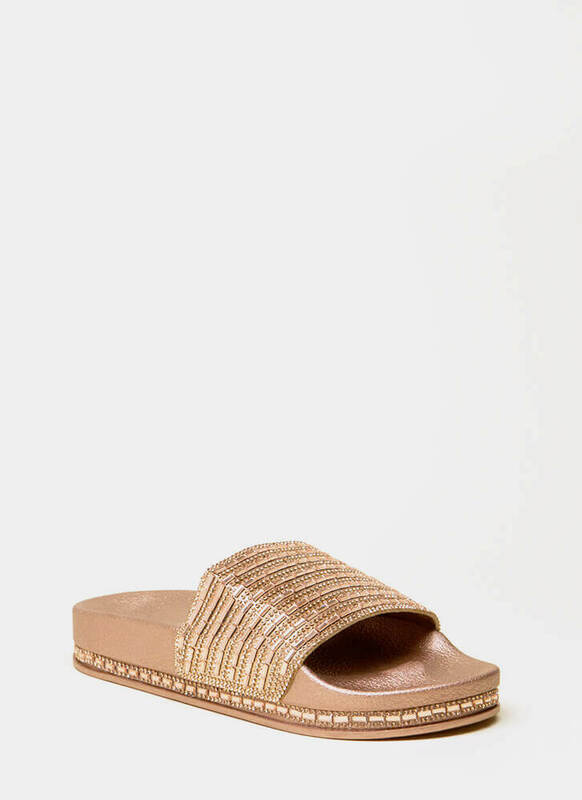 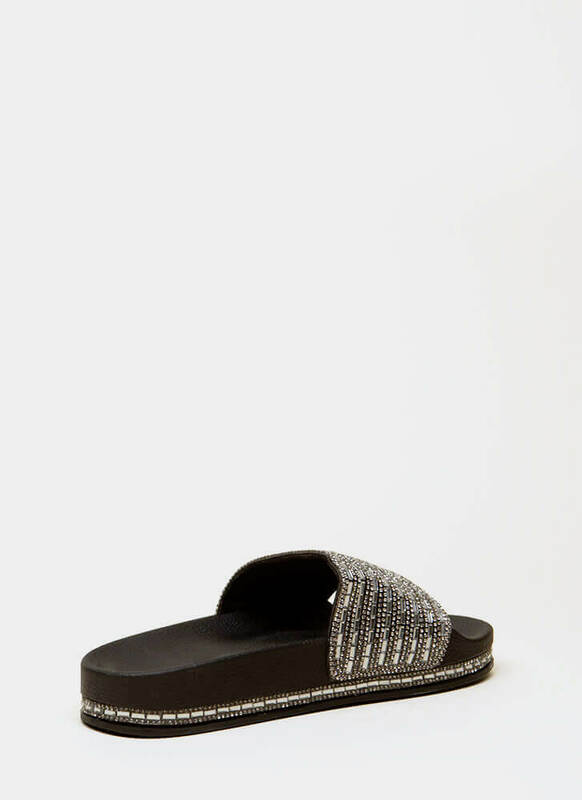 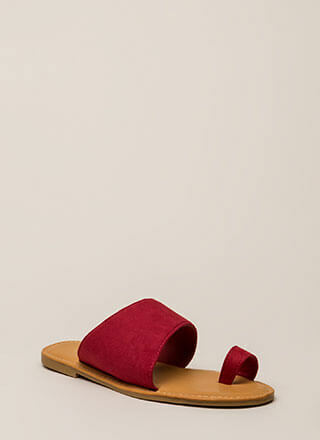 Open-toe vegan leather slide sandals feature a molded footbed, an extra wide toe panel covered in rhinestones and bar-shaped faux crystals, and a thick platform with matching jeweled trim. 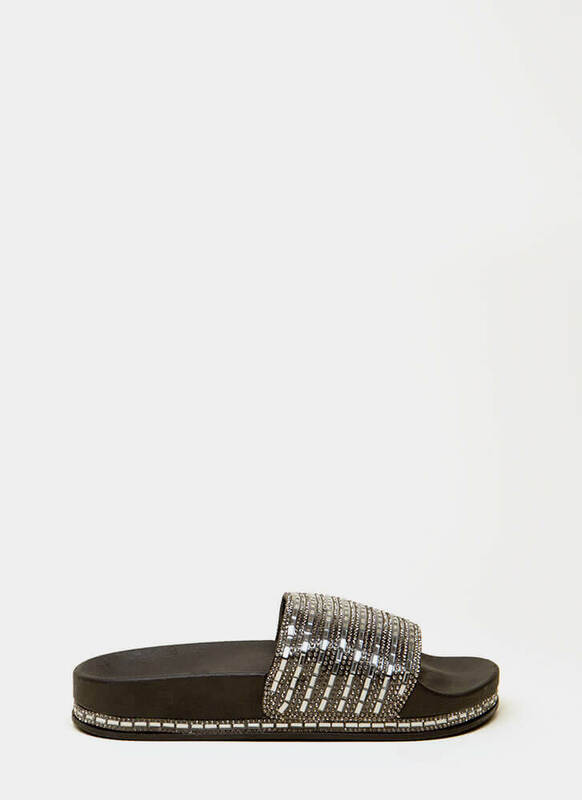 Shoes are finished with a patterned sole and no closures.